Mari Erin Grider is gainfully employed!! 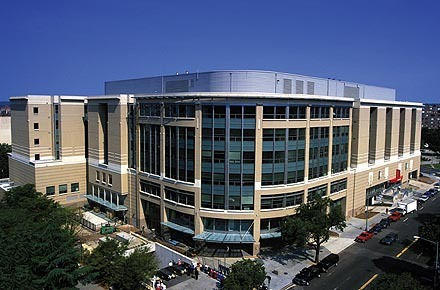 On February 11th, 2007, I will be beginning my Critical Care Internship at GW Hospital in Washington, DC! This is the position I really wanted. The lady from the hospital called me Friday while I was at my Dad’s house cleaning to offer me a position. I was so excited that I started danicing in my father’s room. Dad, true to his nature, offered me a shot of Jack Daniels. This internship is a 12 week program with 5 weeks of classroom education (yes, MORE school with MORE tests I have to pass!) and 7 weeks of clinical rotation on the ICU. The internship does, however, prepare you for the ICU (Intensive Care Unit), the ED (Emergency Department), and the PACU (Post-Anesthesia Care Unit). This is great because those are the areas I most want to work in. And the VERY best thingabout the poisition is that someone is finally paying ME to sit in class and learn! I won’t be tacky and put the amount on here, but it’s just nice that Nursing School is finally paying off! And once the internship program is over, I am guarenteed a staff position on the ICU, full time. And they do work 12 hour shifts there, and the woman who is now my boss (EEEK!!) said that there are permanant nights, so I will only have to drive to DC 3 days a week and it’ll be going against the evil 270 rush hour. So I graduate in 3 days, my last final is tomorrow, and my party is in less than a week. What a busy time!! ← My 26th, Phone Interview, SNOW DAYS, and Final Finals!